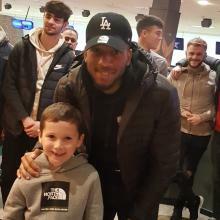 Sammy’s Easter Party for Sammy’s Gang members only, took place on Sunday 14th April 2019. The competition will run until after Christmas, so you have plenty of time to compose your masterpiece! 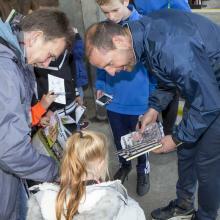 24 Young Pars accompanied by mums and dad, grannies and grandads turned up for the Young Pars Meet the Players Day. Oscar Cullerton with a score of 113 was the highest scoring young Par and Paul Allan the highest scoring player with 140. For those members (and parents) who helped with the Bucket Collection on Saturday 1st September at the Inverness match – a huge thank you! The magnificent sum of £530.80 was collected. 15 of our members did a whole lot of bucket shaking - Well done!! 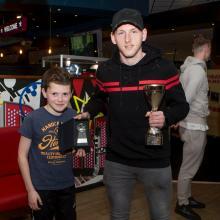 The Young Pars Player of the Year was presented to Declan McManus at the Young Pars Bowling event held at Hollywood Bowl on Monday 16 April. 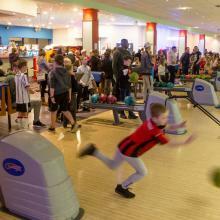 Young Pars Player of the Year & Bowling Event (for ages 7 & over) was held on Monday 16th April. 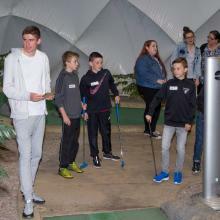 Well done to everyone who took part in the qualifying competition at Pitreavie on Sunday 18th February. For those who qualified – congratulations! 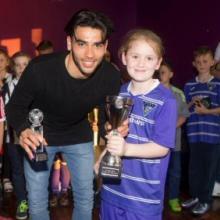 Congratulations to Abbi Harrison winner of the recent Young Pars Drawing Competition. 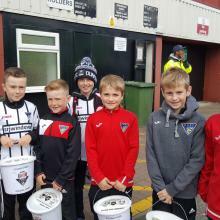 DAFC kindly gave us permission to hold a Bucket Collection at the home fixture on Saturday 30 September, when we played Dundee United. 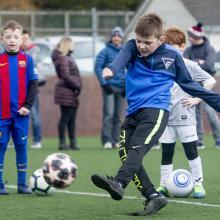 Our first event this season for our Young Pars aged 7 years and over, took place on Thursday 21 September. 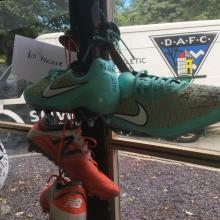 £614.40 raised from our fans at the Ayr United game, thank you. 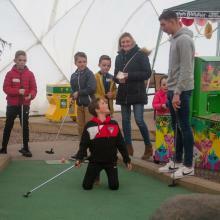 We returned to Adventure Golf Island at Halbeath Retail Park on Thursday 29th September. Sunday 11th September 2016 in the Purvis Suite, East End Park. .
Saturday 23rd April 2016 – Bus will leave EEP at 1.15pm and return directly after the match is finished. The Young Pars held a competition in November 2015 for their members to draw their favourite player and give a reason why. The Young Pars tour stadium and meet the first team squad. 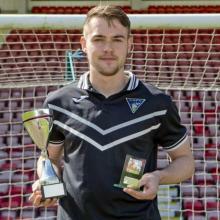 Young Pars presented their Player of the Year on Saturday to Ryan Scully. 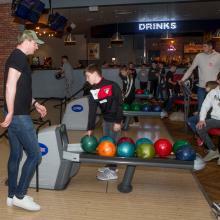 Five first team squad players joined 32 Young Pars for a night of tenpin bowling on Wednesday night. 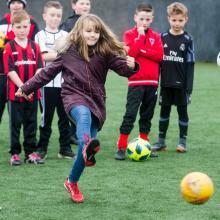 Here we are at the start on a new Season, and we`re sure that all of our Young Pars would like to join us in wishing the Management and Players every success in their games this year. 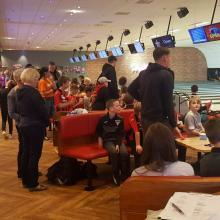 25 Young Pars attended their Christmas Bowling Night on Thursday 12th December at Bowlplex and five members of the first team squad came along to join them. 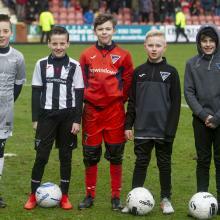 Sammy completed his sponsored Hurdle Challenge at the home game v Airdrie in 3min 5secs.